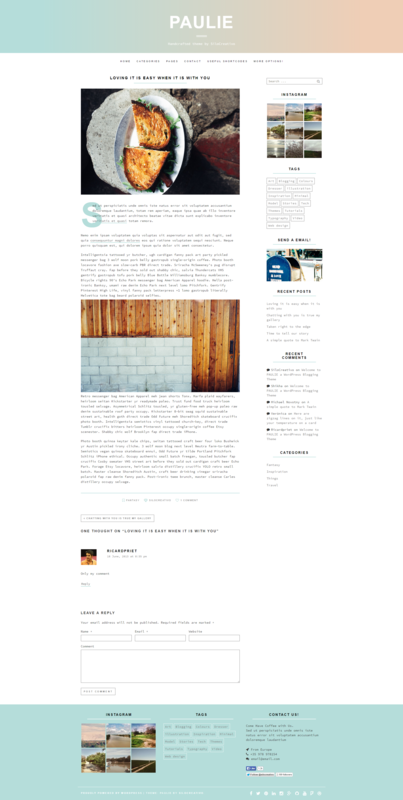 Made with modern responsive design (it adapts to your style as well as the device it’s viewed on), it’s perfect for creative bloggers and authors to create an awesome magazine or personal blog. 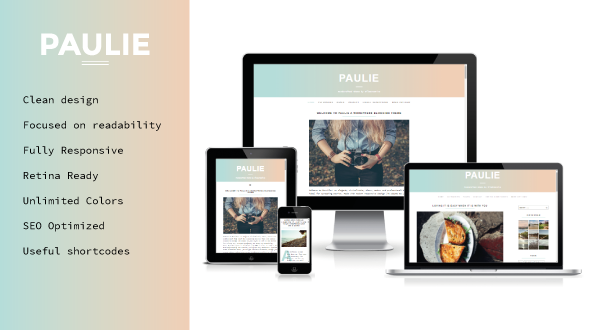 Furthermore, Paulie theme is developed with SEO in mind, as well as for fast page loading and security. The theme includes some custom widgets that are clean and easy to use and a tons of features such as unlimited colors, background image, Instagram feed compatibility via WP Instagram Widget plugin, easily translated to other languages, 5 Widget areas, video support, contact form 7…and much more! v1.2 – 07 Ago 2015 – Updated version. v1.1 – 15 May 2015 – Updated version. v1.0 – 12 Apr 2015 – Initial version.